The bloody start to the New Year in Western Jamaica continues to challenge crime-fighters, who have been kept busy as again, gunmen struck, snuffing out the lives of four men in separate incidents across the region, beginning on Friday, pushing the murder tally past twenty. The victims have been identified as 62-year-old courier, Lloyd Johnson of a Montego Bay, St. James address, Recardo Hewitt of Poincianna Drive, Pitfour, Granville, also in Montego Bay, 24-year-old Richard Hamilton, otherwise called ‘Romain’ or ‘Bad Indian’, unemployed of Crabwood Lane, Hopewell, Hanover, and 40-year- old chef, Kirk Campbell, otherwise called ‘Dudu’ of Wakefield Trelawny. The parish of St. James, which was labelled, the island’s murder capital prior to the imposition of the State of Public Emergency, recorded two of the four murders, with the latest occurring on Monday. Reports indicate that about 9:20 a.m., Johnson was travelling in a white Nissan motorcar, owned by Randani Security Limited, along Barnett Street, when on reaching a section of the road, a motorcar drove up and men aboard the vehicle opened gunfire, hitting him several times in the upper body. Commuters traversing the usually busy street were sent scampering for cover as the shots rang out. In what is suspected to be a failed robbery attempt, the wounded Johnson reportedly drove the car a few metres, before colliding into another vehicle, as the car came to rest at the intersection of Barnett Street and Lightbody Avenue. He was subsequently taken to the Cornwall Regional Hospital, where he was pronounced dead. 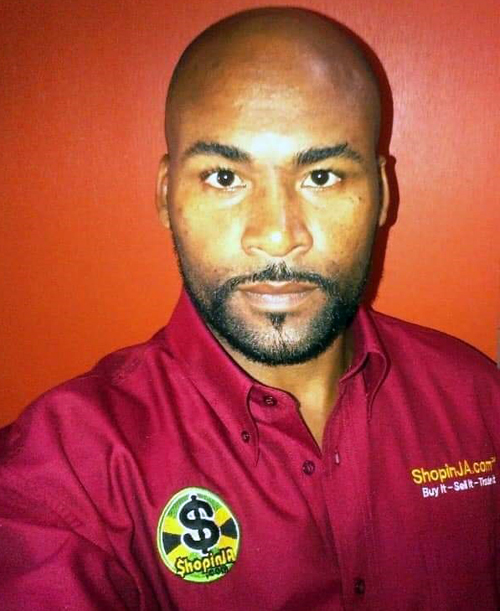 In the meantime, mystery still shrouds the death of popular businessman, Recardo Hewitt, who operated ShopinJa, an online shopping platform based at River Bay Road in Montego Bay, and who met his demise on Friday. Reports are that at about 4p.m., several motorists and fishermen noticed Hewitt, who was sitting motionless in his silver Nissan Wingroad motorcar, which was parked in the vicinity of the Fishermen’s beach at Spring Gardens in St. James, and alerted the police. The lawmen, on their arrival, discovered that Hewitt, who was still buckled in by his seatbelt, had multiple gunshot wounds to his upper body, and was slumped around the steering wheel. Hewitt was a known licensed firearm holder and the police surmise that his attacker (s) stole the firearm. Meanwhile, later Friday evening, about 8:45p.m. in Hopewell, Hanover, Hamilton was sitting on the verandah of his nextdoor neighbour and talking with another man, when a white motorcar drove down the hill and occupants from the vehicle opened gunfire at him. Both Hamilton and the man he was talking with ran, however he fell at the side of the house, while his friend escaped unharmed. The police were summoned and upon their arrival Hamilton’s body was found at the side of the house lying in a pool of blood. The Lucea police who are investigating reveal that Hamilton was out on bail for his alleged involvement in a shooting incident, which reportedly took place in Westmoreland in 2018. The Trelawny Police were also kept busy on Saturday night as Campbell, a chef, was tending to a pot of soup outside his business place about 10p.m., when a lone man armed with a gun approached him and opened fire, hitting him in the head. A traumatized relative of Campbell said the pain of losing him so tragically is too difficult to bear, and the family is struggling to come to grips with his death. Councillor for the Wakefield Division, Jonathan Bartley, has called for a speedy resolution to the case, while appealing to the authorities to provide the police with the necessary resources, especially motor cars, to aid them in the fight against crime.